Matthew Hartman, Practitioner of Rolf Structural Integration, 15 year dedicated bodywork professional. Matthew Hartman, new to Santa Cruz County, has been a Rolf Structural Integration Practitioner for 13 years. He received his basic Rolf Structural Integration training at the Guild for Structural Integration in Boulder, CO. and has studied at the Rolf Institute for Structural Integration. In 2002 Matthew had a profound experience of Rolfing when lifelong knee and chronic lower back pain were resolved after four sessions of Rolfing. He is a native of Stillwater, Oklahoma and holds a BS in Geography. He has lived in Oregon for 20 years, where he maintained successful practices in Portland and Corvallis. His love of the ocean, dynamic places and big trees brought him to Aptos to raise his family and be a part of the wonderful community. Matthew has a prolific reputation for delivering Dr. Ida Rolf's principles and theories in an effective way which are highly personalized to each client he works with. His extensive experience working with clients ranging from children to elders has allowed him to provide pain relief, improved posture and enhanced movement patterns to a variety of individuals and their unique needs. He takes a keen interest in chronic pain related conditions, scoliosis, working with children and sport and activity-specific performance enhancement. 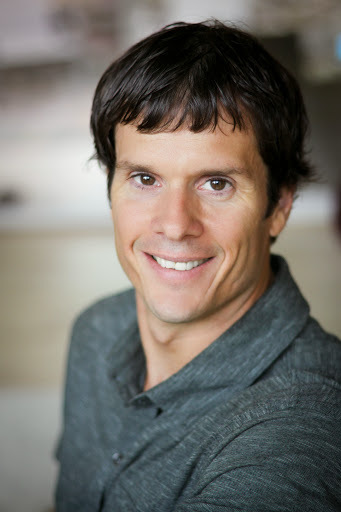 Matthew's bodywork expertise is distinctly influenced by his comprehensive training and skill as a yoga therapist and instructor and his personal healing path from chronic pain. His numerous injuries and subsequent recoveries has gifted him the ability to empathize with clients experience's while accessing a wealth of knowledge on how to work effectively in order to affect lasting results. He is well versed in a variety of manual and mobility based therapies from over a decade of close collaboration with Senior Rolfers, PT's, Osteopaths, Chiropractors, Naturopaths, MD's, Sports Trainers, and Yoga Instructors. Matthew has developed and taught Advanced Methods of Bodywork; classes on myofascial techniques and movement based approaches to working with postural imbalances, soft tissue restrictions and musculoskeletal pain. Matthew offers mentoring to Rolfers and Structural integration Practitioners. In his free time Matthew cherishes family time with his wife Katie, daughter Izabella, son Gabrien and their white dog Daisy. He is passionate about everything SUP, especially surfing, open ocean and downwind paddling. Yoga, pranayama, Ayurveda, functional fitness, men's work, ancestral health and primal movement are other significant influences in his professional world. Friends and colleagues who know Matthew well may describe him as a "body nerd" or "alignment junky" and appreciate his personable and compassionate approach to Rolf work.